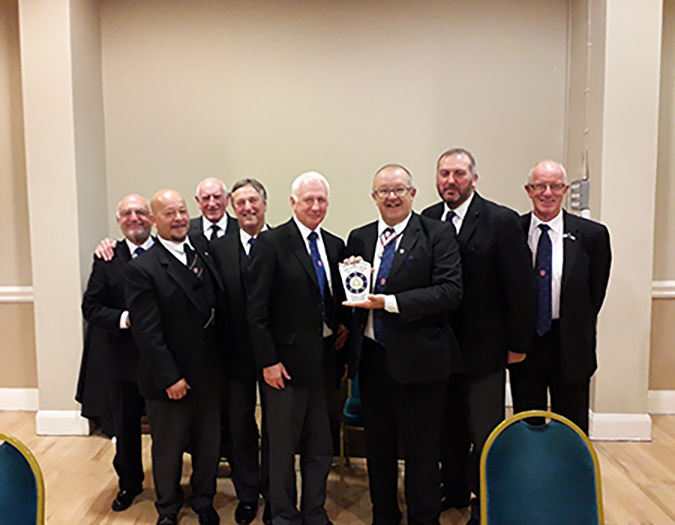 At the Lawrence Mark Lodge Festive Board on 20th September 2018, the Travelling Keystone of the Mark Degree was transferred and presented by Bro. Stephen Hallam, W.M. of Leyland Mark Lodge No. 1002 to Bro. Don Hesketh, W.M. of Lawrence Mark Lodge No. 313. The group picture shows in the centre, Bro. Stephen Hallam and Bro. 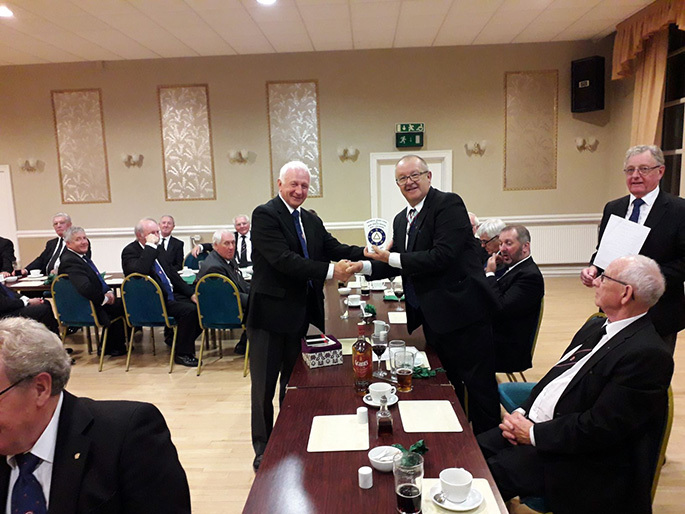 Don Hesketh with W.Bro. David Robinson, P.Prov.G.J.W. Special Representative of the R.W.Prov.G.M. to the left, accompanied by members of the Leyland Mark Lodge.